What a better way to start 2017 than to think about what I would like to achieve with my blog in 2017! 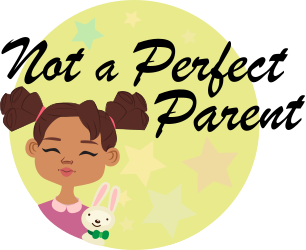 I started Naomi and Lola in June this year and soon after bought the domain Not a Perfect Parent in September! I’m so proud of how well my blog has been doing and some of the opportunities that have arisen from it! I want to increase my Social Media followers by the end of 2017. At the moment on Instagram I have around 1600 followers, Twitter around 1100 followers and Facebook 340 followers. By December 2017 I would love to have around 3000 Instagram Followers, 2000 Twitter Followers and 1000 Facebook followers! If I reach these goals before the end of 2017 then I would be aiming to increase following at least 10% each month. I look forward to working with further brands in the New Year. I’ve been so lucky already to work with some fantastic brands. I love being able to review things that benefit Lola! We are already excited about a book parcel we will be receiving in January! As well as reviewing a number of items we’ve received the past couple of weeks! Mostly weaning related. Lola and I love Blogging events! We’ve been fortunate enough to attend some fantastic events and certainly can’t wait for more in 2017. I’m gutted because the 3 events we’ve had booked for December have all been when Lola or I was ill so had to miss them. We certainly look forward to more events in 2017. The best thing about the events is that not only have we met some fantastic brands we’ve also made some really lovely Blogging friends! I would love to increase my DA to at least 25. Anybody in the non blogging world will be thinking what on earth is this! To make it very simple it’s the amount of links back to my blog and how it appears on Google compared to other pages! (There is more to it but I need to understand it more myself as well!!) It is a number out of 100! You only have a DA once you have your own domain and some opportunities are only available if you have a higher domain! My current DA is 16 which is fantastic for a blog that is no where near as established as some of the bigger bloggers! Again this is one that those in the blogging world will understand! Tots100 rates parenting blogs! It looks at the amount of people that visit your blog, social media followers and social media interaction. I would love to make the top 500 by the end of 2017! Last month I managed to get within the top 1000 but then for the rest of the month I didn’t do much blogging or social media updates so I crept back out of the top 1000! Overall it is out of around 8000 parenting blogs! I’m unsure at the moment but I’m considering starting vlogging as well. It won’t be everything but for things like reviews sometimes it’s easier to describe/show on a video rather than being written! Especially when it is something like a toy for Lola to play with! I may do montage style videos to start with. Purely because I haven’t had a chance this year next year I want to sort out a logo for Not a Perfect Parent! I already have business cards with just a photo of Lola on but I want to be able to use the logo on my Blog, all my social media and on my Business Cards! I would love to be able to start making money out of my blog. These opportunities will hopefully begin as I achieve some of my previous goals. By having a higher DA and become more known will increase the possibility of making money out of my blog. If you are a blogger what are your goals? If you aren’t then what are your aims for 2017? They sound like some really good goals. I also want to venture in to making videos but I’m a little bit nervous about it. I also want to increase my followers on social media and my DA. Great goals! My main goal is to be more consistent and organised with my blog this year. My blogs third birthday is coming up this month and I still haven’t managed to organise myself properly!